Yes I know it doesn’t look like one but trust me, this is a facelift. As we’ve come to expect with ‘facelift’ cars of late, there are Very very few changes on the outside. 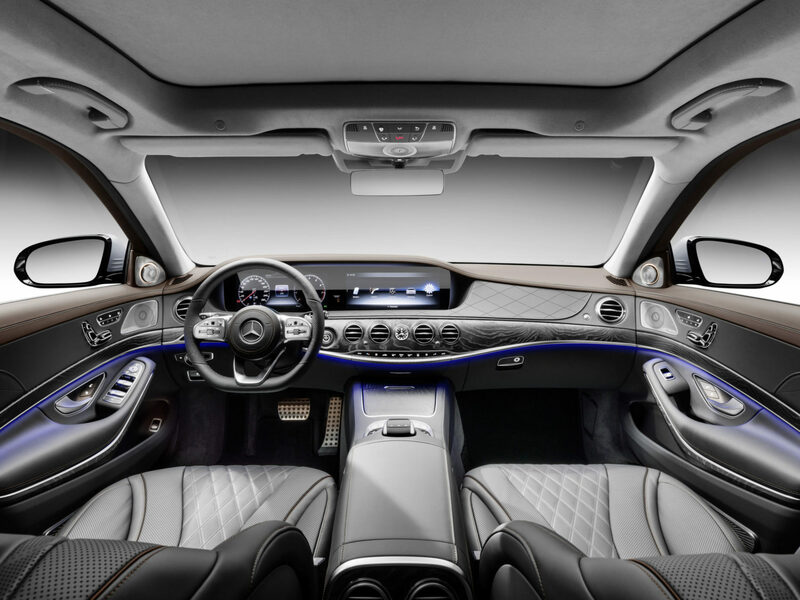 However, there is just enough happening underneath this new Mercedes-Benz S-Class to justify a press release. 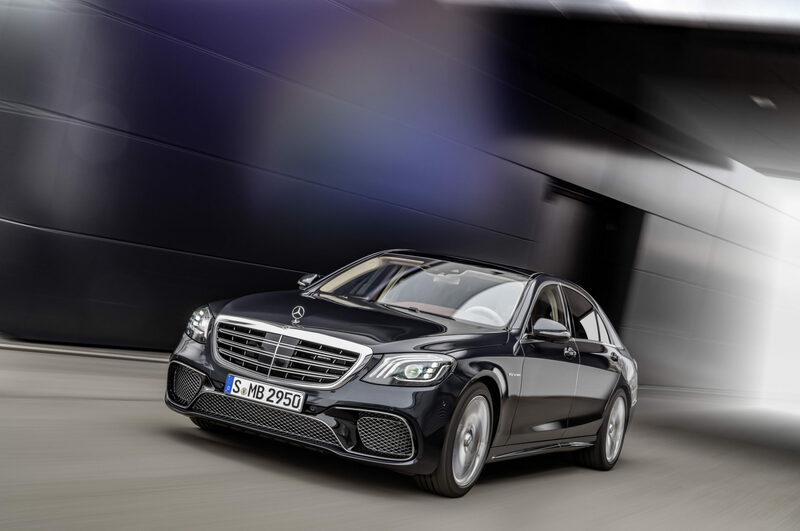 Under the bonnet of the S350d and S400d, you’ll now find Mercedes’ new 3.0-litre Diesel straight six engines. They produce a handsome 207 and 247bhp respectively. A 3.0-litre petrol is in the works too. It will feature the latest tech in the war on turbo lag – an “electric booster compressor”. It’s essentially a 48V electric turbo that fills the gaps where the conventional turbos are feeling a tad lazy. In top of the range ‘S’ trim, they’ve ditched the 5.5-litre V8 in favour of a smaller 4.0-litre. Despite the smaller size, it produces 612bhp and 663lb ft. That’s enough to conquer 0-62mph in 3.5 seconds. Need more? 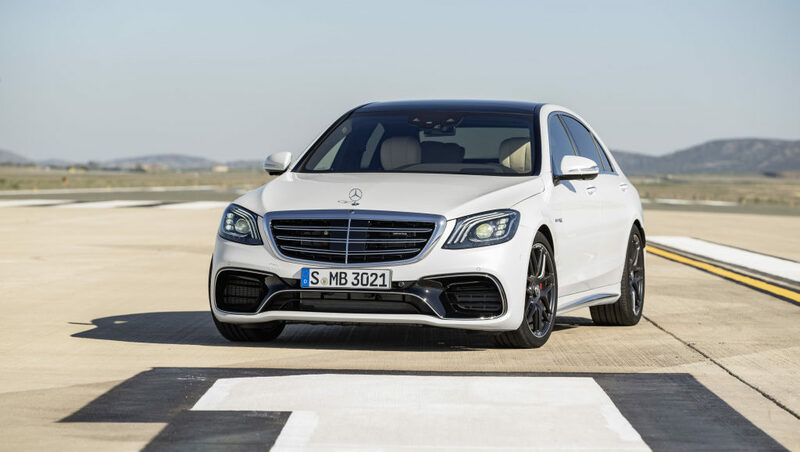 The S65’s twin turbo V12 now boasts 621bhp and enough torque to slow the rotation of the earth (737lb ft). 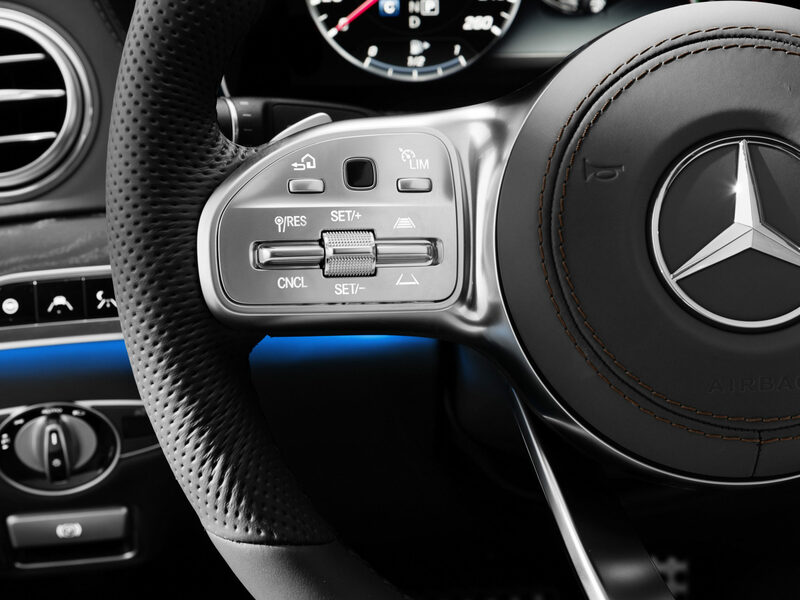 Interior tweaks include a new steering wheel, updated instruments, improved infotainment and most importantly, ambient lighting with 64 different colours. There are autonomous updates across the board too. 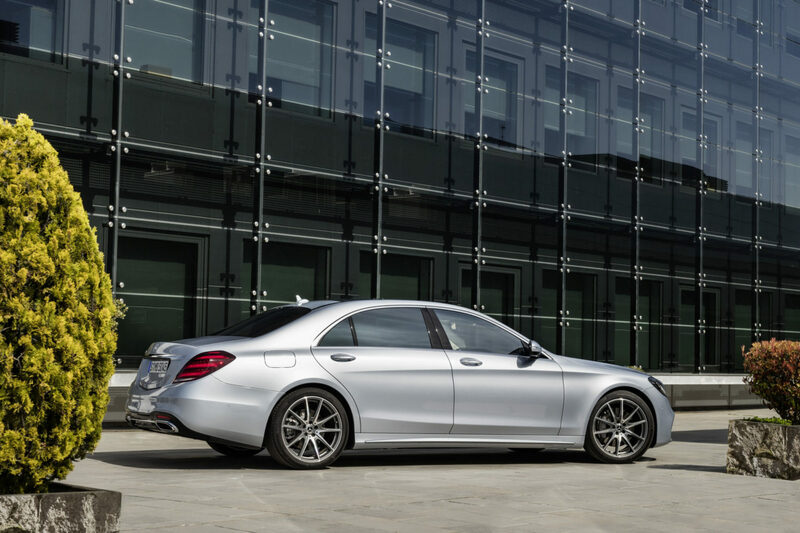 Namely the ‘Active Proximity Control’, ‘Active Steer Assist’ and ‘Active Lane Change Assist’. No prices have been revealed yet but, expect them to be in the ‘How bloody much?’ bracket. This entry was posted in News and tagged Mercedes-Benz.